Read the case study, or listen to our complete interview with Marlene… and if it inspires you to create your own online course, (and we think it will!) get started at RoadmapTo5k.com. Marlene is a brilliant photography and video teacher. She’s the creative force behind ImageMaven.com and ImageMavenVideo.com. Check out both sites to get great videos and tips that will improve your photography and video in no time. Why get started with teaching online courses? Flash back to 2004. Marlene was teaching photography in the classroom at her local community college. While she loved working directly with students, she was burning out. Her goal? Freedom and flexibility in her schedule. This desire for freedom and flexibility motivated her to develop her own online course offerings. Where did she get her ideas? She started researching ideas for her own courses. 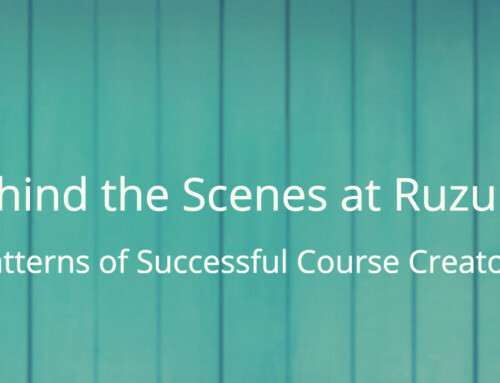 And in the fall of 2010, she launched her first full online course, using ruzuku . Marlene now offers 8 online courses, several of which she has taught multiple times with different groups of students. She has developed a mix of short, inexpensive, focused courses, as well as longer, more intensive courses (some up to 8 weeks long). And she pays close attention to what people ask her about. For example, when people started asking about her videos: Can you teach me to create a video like that? Over time, she has developed ways to engage and teach people before asking them to buy a course. Currently, she offers the opportunity to sign up for 10 free photo lessons by email. After these 10 free lessons, she offers a paid course. A key learning for Marlene has been that courses and services (one-on-one consulting for private clients) go hand-in-hand. For example, people taking video courses want help with editing and production. People taking photography courses want private critiques and extra technical help. Courses have tremendous value standing on their own — but are even more powerful when combined with service offerings. [for consulting], I give them the course for free.” This makes her services even more attractive to new clients. She also tries to create 1 or 2 new courses per year, based on the needs of her community. 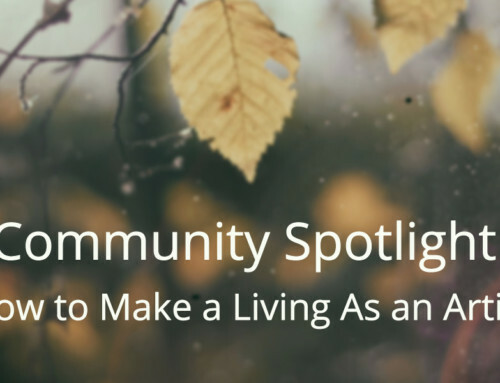 She notes that “I’ve never created a course out of thin air.” Instead, she regularly reflects on the question What are people asking for?, and builds courses based on those needs. She also looks to partner with other experts to develop creative new ideas for courses. For example, she recently partnered with a counselor to create a personal growth course: Take a Break – Photography for Self-Care. #1 – Just Do It! So put procrastination to bed and just get started. Do a low-risk course to get started — even if it just means inviting in a few friensd for free! Get over the hurdle, because you learn so much by doing that first course! Just go for it. Don’t get hung up on making things perfect in your first course — people are very forgiving. Focus on making a connection with your students — really connect with them. If they trust that what you’re teaching them is good stuff, they’ll ask you questions and you’ll learn from them. If they trust you, you can help them. Be really active in the discussion — answering questions, and posting questions. Bring in your personality to your courses. Marlene says, “I act a little goofy in my videos.” The more she expresses her personality in her videos and courses, the more she builds a strong personal connection with her participants.